Chrysler Group LLC has named executives to head its newly created Dodge Ram and Dodge Car brands. The company said Monday that Fred Diaz Jr. will be president and CEO of the Dodge Ram brand, which consists of vehicles like the Dodge Ram pickup. Diaz will also be Chrysler's top U.S. sales executive. 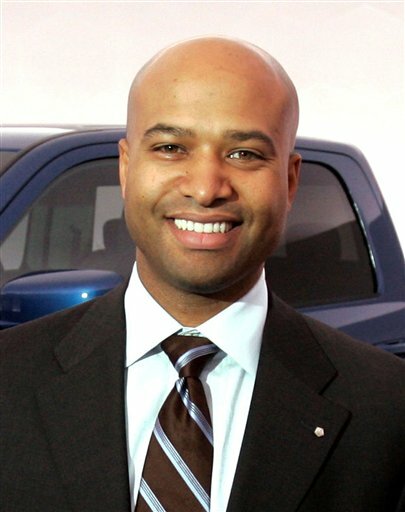 Chrsley says Ralph Gilles will be president and CEO of the Dodge Car brand. He will also continue as the Chrysler brand's head of product design. Chrysler says Olivier Francois will be president and CEO of the Chrysler brand. Francois was previously head of the Lancia brand at Fiat Group Automobiles. Former Chrysler brand head Peter Fong and Dodge brand chief Michael Accavitti left have left the company. AUBURN HILLS, Mich. (AP) _ Chrysler Group LLC has named executives to head its newly created Dodge Ram and Dodge Car brands.